If you have been arrested on criminal charges, your first thought is probably, “How am I going to get out of this?” So when the prosecution offers you a plea bargain, your instinct is to accept it. However, the criminal defense attorneys at Anggelis & Gordon, PLLC–who have a combined 95 years of success trying criminal law cases in the Lexington, KY, area–advise you to hold off on accepting a plea bargain until you have thoroughly assessed your situation. 1. Have You Talked to Your Attorney Yet? Before you make any decisions or engage in further negotiations with the prosecution, talk to your attorney first. 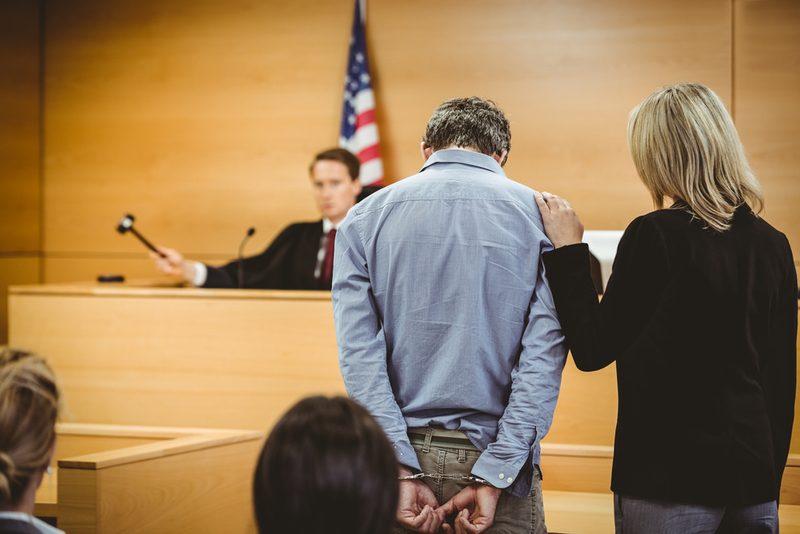 A good defense attorney has handled many criminal law cases and can advise you on whether or not the plea bargain your are being offered is a good one. In order to accurately determine this, they will analyze the evidence against you and assess the strength of your defense. If they feel that your case is weak, they may advise you to take the plea bargain. However, if they determine that there is a way to dispute the charges and have them reduced or dismissed, they may advise you to forego a plea bargain altogether or negotiate with the prosecution until they offer a deal you cannot refuse. 2. Is the Deal Really a Bargain? Public defenders are oftentimes pressured to get through as many cases as possible. If you are working with a public defender and they advise you to take the plea bargain, you have to consider whether or not they are acting in your best interests. If your gut tells you that they’re not, you may want to consider hiring a private defense lawyer. Though a private attorney will cost you more up front, they will have only your best interests at heart and advise you on what you need to do to achieve the best possible outcome—including whether to accept a plea or reject it. 3. Is the Offer in Your Best Interest? When the prosecutor offers you a plea bargain, they are not doing so because they want to help you out. Sometimes, the prosecution will offer you a deal because they want to hurry up and close your case so that they can move on to the next. However, more often than not, when the prosecution offers a plea bargain it’s because they realize that the evidence against you is feeble and that their chances of winning are pretty narrow. They will try to convince you that the deal is in your best interest so that they can claim a victory, but that is when your criminal defense lawyer should step in and offer their professional opinion. The attorneys at Anggelis & Gordon, PLLC have nothing but their clients’ best interests at heart and would not advise them to do anything that would jeopardize their future. If you were recently offered a plea bargain in your criminal law case, obtain the advice of an experienced defense attorney. Call (859) 255-7761 to speak with a legal representative right now or go online to learn more about their team.